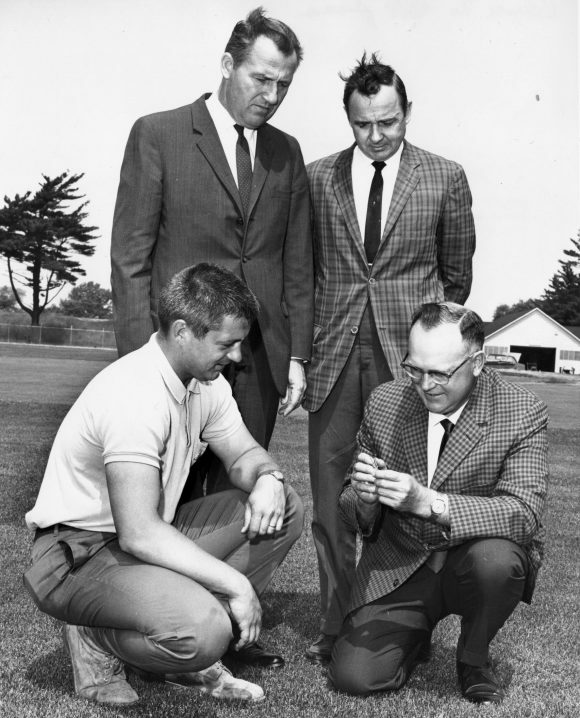 Share the post "Turfgrass Faculty Ralph Engel (1915-1995) Named to Inaugural Class to be Inducted into NJ State Golf Association Hall of Fame"
L-R, standing Ralph Engel and Henry Indyk, with C. Reed Funk (kneeling, right). Taken on the turf research farm in what is now the parking lot directly across from the Institute of Marine and Coastal Sciences on Cook Campus around 1970. The New Jersey State Golf Association has announced the formation of its Hall of Fame, with the inaugural class boasting the names of famous players and non-players who have made a unique and lasting impact on the game of golf. Among the individuals honored is the late Ralph Engel, who initiated the two-year Rutgers Winter Turf Management Course in 1962. As the program administrator and an instructor, Engel graduated over 1,000 students who participated in the course. 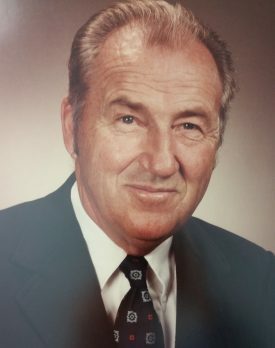 A native of Nebraska, Engel earned a doctoral degree at Rutgers in 1951 and devoted his life to turf development as a member of the university. His research was focused on improving the quality of turfgrasses and he spearheaded early research in the areas of weed and insect control. 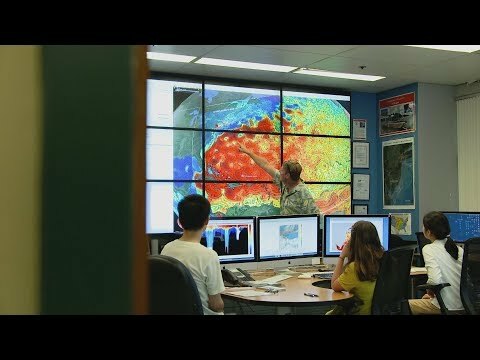 He was a highly regarded researcher, gaining widespread recognition for his efforts, which won him the 1993 U.S. Golf Association’s Green Section Award. The induction ceremony for the inaugural NJSGA Hall of Fame class will take place on May 1 at Galloping Hill Golf Course in Kenilworth, home of the association. Read more about the announcement and the inaugural class of inductees.